In a bombshell investigative report published Monday on Eater, four women accused celebrity chef Mario Batali of a pattern of sexual misconduct spanning at least two decades. The prominent restauranteur and co-host of ABC's The Chew, who did not deny the allegations in the report, said he has stepped aside from his high-profile positions in the food business. Reactions to the news were swift and damning. Although new and similar sexual harassment allegations against powerful men seem to come to light on a daily basis in the wake of the Harvey Weinstein investigation, the Batali revelations are one of the most significant so far within the restaurant business. It's also prompted a flurry of emotional reactions online from fellow celebrity chefs, restaurant critics, and food world insiders at large. Everybody Knew: The Mario Batali Story. I remember being grossed out by that part of Heat. But I moved on, kept reading. 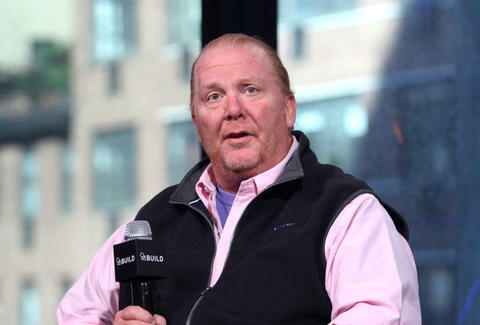 It changed my image of Batali but didn’t change it enough to make me think of him as a guy who abuses women at work. ***UPDATE*** @davidchang made a statement. If he’s speaking up about a long time pal MAYBE THE REST OF YOU CAN FIND SOME COURAGE. This is another day when leaders in the restaurant biz have an opportunity to tell us what they believe in. Pay close attention to which powerful food people say nothing in response to this. This is a disappointing, disgusting & sad day for a lot of people, but what's worse is that it's been a disappointing, disgusting & sad work reality for women in the restaurant industry for a long time. Where’s Barbara Lynch’s “hot take”? Nancy Silverton? Anita Lo? Gale Gand? Susan Feniger, and all the others who I’ve admired that had it WAY harder than I ever did? Call them! They should have been your first calls! “I apologize to the people I have mistreated and hurt," he said, according to the report. "Although the identities of most of the individuals mentioned in these stories have not been revealed to me, much of the behavior described does, in fact, match up with ways I have acted. That behavior was wrong and there are no excuses. I take full responsibility and am deeply sorry for any pain, humiliation or discomfort I have caused to my peers, employees, customers, friends and family."